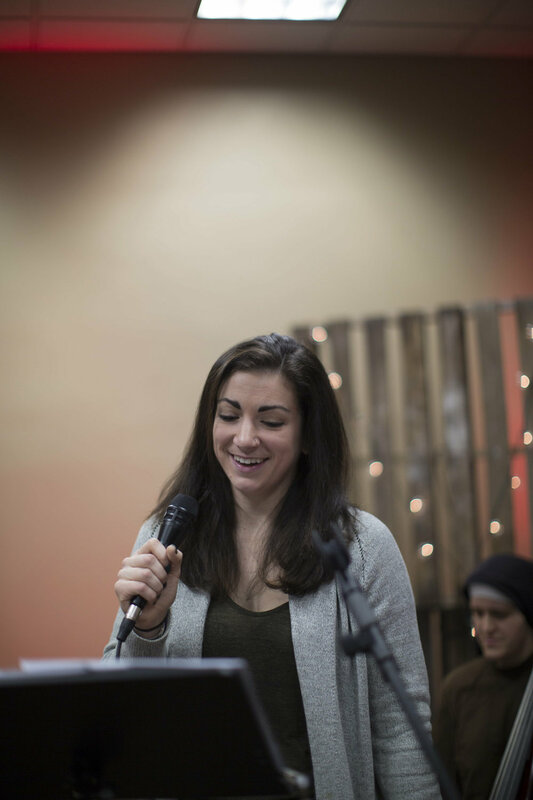 Megan Miller and Benjamin Valle are a worship leading duo based in the Chicagoland area. 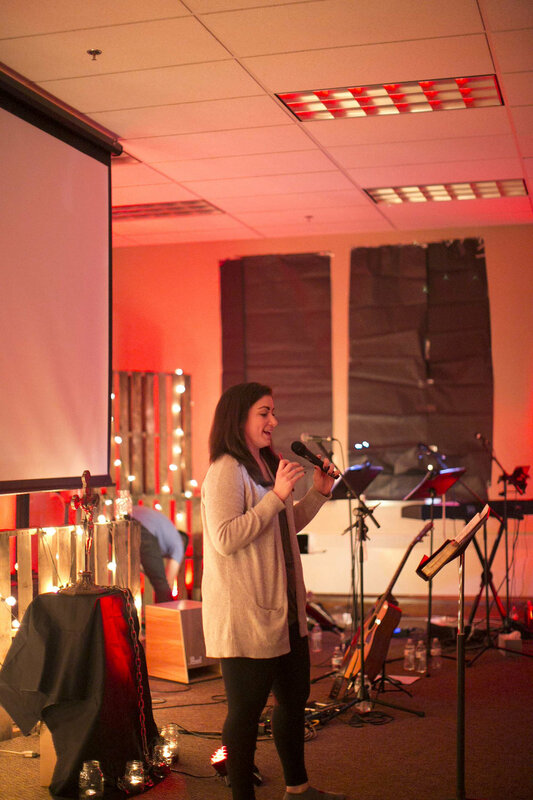 In addition to working in parish ministry, they are part of the founding team for Grounded Ministries, through which they have been leading worship and giving talks for various church events across the country and the world. Connect with us on social media @groundedmin. I’m pretty into Jesus Christ, Crossfit, theology, tacos, and the Chicago Blackhawks. My favorite people in the world to hang out with are my family, but I also have been richly blessed with the best of friends. Outside of work, I can usually be found lifting weights, nerding out over theology, or laughing at dad jokes. My top two missions in life are to become a saint and to drink as much good coffee as possible along the way. I am the Co-Director of Evangelization & Catechesis at Saint Paul the Apostle Parish in Gurnee, IL, and have been profoundly impacted by the beauty and sheer awesomeness of the kids, teens, and families I get to work with there. Megan holds a Bachelor's Degree in Theology from Ave Maria University and a Master's Degree in Liturgy from the Liturgical Institute of the University of Saint Mary of the Lake. Growing up I wanted to be a circus clown mainly because I already had red hair and can juggle. Thankfully, God had other plans. I consider myself a minimalist, but not when it comes to tacos and coffee. My free time is typically consumed with water skiing, running, or attempting to learn a new musical instrument. I'm fascinated by books, but rarely make it past page fifty in any given one. Is sarcasm a language? If so, I'm definitely bilingual. I am the Coordinator of Faith Formation at Holy Cross Parish in Deerfield, IL where I am continually inspired by the teens and families I minister to each day. Benjamin holds a Bachelor's Degree in Catechetics and Theology from Franciscan University of Steubenville. Josh Goodman is a singer/songwriter, worship leader, and speaker from Newport News, VA with a B.A. in Spanish. Josh currently leads worship for St. Francis de Sales in Lake Zurich, IL for their youth Mass and adoration. His passion is leading others into a state of openness and vulnerability, be it in the spilling of his soul through his own songs or the giving of himself in worship, so that whoever is joining him in praise to God may experience Christ in a more intimate way. He also drinks coffee, often before it is cool... He's kind of a hipster like that. Josh also gives talks on faith and God's mercy and love, and is involved with IGNITE Ministry Nights, an ecumenical ministry focused on inspiring youth to live out their Christian faith with joy and liveliness. Deacon Allen Tatara is a permanent deacon in the Archdiocese of Chicago. Ordained in 2009, he serves at St. Hubert Parish in Hoffman Estates, Illinois. He has been involved with teens and young adults for more than 20 years, and is blessed to work alongside his wife, Stephanie, as Youth Ministry Coordinators at the parish. Deacon Allen is a dynamic and fiery preacher, speaker, storyteller, musician and evangelizer. He loves sharing his God-given gifts in his ministries and is truly humbled to be in service to God and his people. He ministers around the country at diocesan, school, and parish youth and adult events. He has motivated and inspired groups of all ages to a greater awareness of how to recognize God’s presence in their daily lives through his unique blend of storytelling, humor, audience participation, music, and deep-seeded spirituality. Deacon Allen is also a published author and blogger. He is published in Give Us This Day, one of the most popular Catholic devotionals on the market. His blog, On the Inside; On the Outside, is a collection of writings about how work and the circumstances of everyday life are opportunities for growing closer to God and serving others. He is also an accomplished songwriter and has had some of his songs recorded by a Nashville recording artist. In his spare time, he is the lead guitarist and a vocalist in The Gold Coast Orchestra, one of Chicago’s most energetic dance bands. Deacon Allen lives in Hoffman Estates, Illinois with his wife, Stephanie, and their dog, Willy. He is also the proud father of three college-attending sons, Joe, Dan, and Nathan.